WASHTO Emerging Leaders panel at ARTBA’s Western Regional Meeting. Nearly 50 people attended ARTBA’s Nov. 14 – 15 Western Regional Meeting in Newport Beach, California. 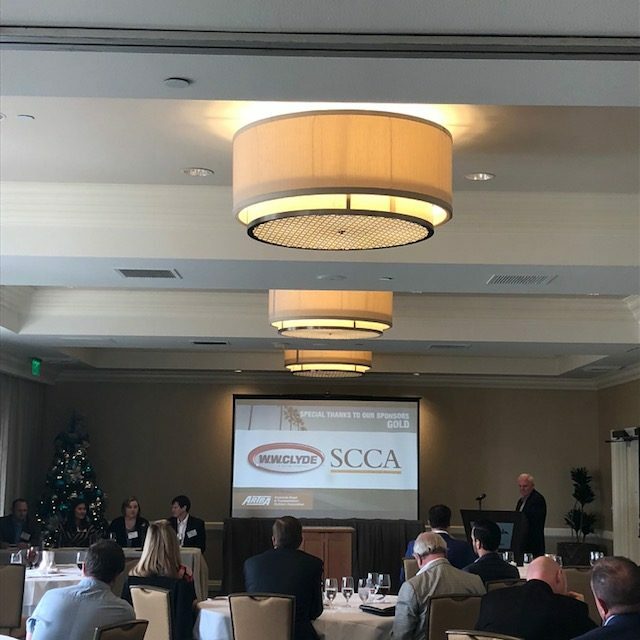 John Hakel, executive director at the Southern California Partnership for Jobs, discussed the mass industry effort to fight Proposition 6, which would have repealed the 2017 state gas tax increase. California voters turned back the repeal effort, 55 percent to 45 percent. That decision will preserve more than $50 billion for urgently-needed highway, bridge, transit improvements in California over the next decade. The Western Association of State Highway and Transportation Officials (WASHTO) has an emerging leaders program, similar to ARTBA’s Industry Leader Development Council, to help the next generation of employees within the agencies advance in their careers. Idaho Transportation Department Director Brian Ness and other panelists from western DOTs told attendees about the leadership training and other parts of the program. “During the time that individuals participated in the emerging leaders program more than 50 percent got a promotion or a bump in their career,” Ness said. A panel of California transportation agency leaders, moderated by Andrew Dohrmann, associate vice president at TY Lin International, also provided great insight into funding, innovation, project delivery and procurement in their local areas. Attendees also received risk management, market, legislative and regulatory information, plus a Civil Infrastructure Information Modeling (CIIM) presentation.